I never know how to start blog posts. I always worry about how I’ll start. Do I sound stupid? Do I sound conceited? What will people think? Quite frankly, blogging just isn’t my strong point. But it’s more than that. It’s fear. I’ve been waiting for a few weeks to make this blog post. Ever since I decided and committed to making a particular image, which I just finished a month ago. And it’s really, really hard for me to spit it out, because I don’t like admitting weakness, I don’t like vulnerability. But I am so quite often afraid, often for no reason, often unnecessarily. The kind that leaves you short of breath, obsessively thinking, the kind that makes you feel compressed, and falling. It’s a physical, jarring thing. I don’t let fear rule my life, even if I deal with it. I don’t usually talk about it. I grit my teeth, force my head up and move forward. Even if I’m shaking in doing so. I’m not sure I have more to say about this. It might just be enough to admit it. This is just a moment of solidarity for anyone who might be reading this who goes through the same things. You’re not alone. It grabs at your heart strings, pulls, twists, and locks you up. But you can fight it out. 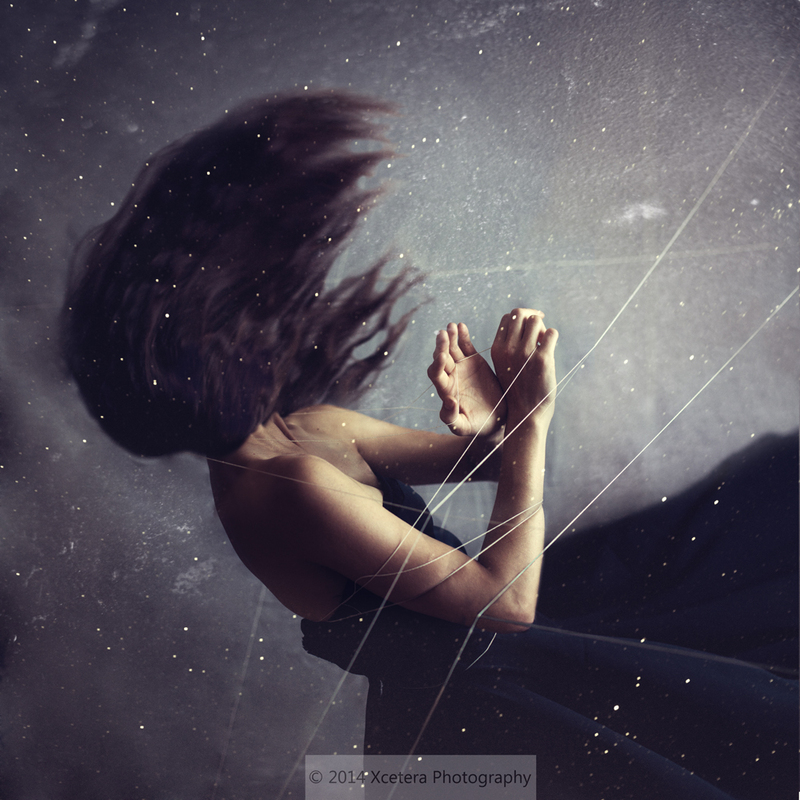 This image is titled “Woven” and shows a woman falling and fighting against the strings that are binding her. I gave it that title, because it’s only my own fear that holds me back, and these are things I weave myself. If it’s any consolation, I don’t think you have any reason to be afraid of what people think of you – this photo caught my eye while scrolling through my Reader, so I checked out some of your other work, and I’m really enjoying it. It’s not so much what people think, just that vulnerability. But it’s more driving the example of how the tiniest matters can cause anxiety, and that can be very crippling.